Everyone knows that one should exercise to lower his/her risk for heart disease. It’s also a fact that while some exercises are good for heart, but they can be hard on your body. So the key is to find what works well for both. 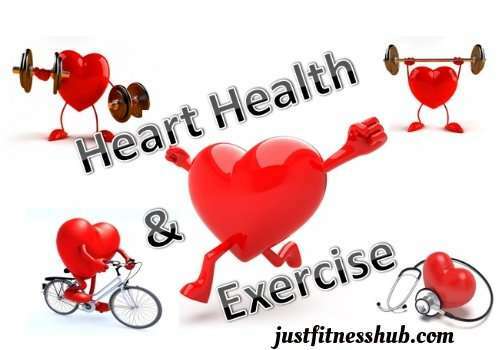 This post is to help you choose exercises that are best in terms of their benefits to both your heart and overall health. Note: If you are having any medical condition or never have done any exercise before, I suggest you start by checking in with your doctor to make sure it’s safe for you to embark on an exercise program and then consider these top performers. This ranks as # 1 – unchallenged – for preventing heart disease and diabetes, losing weight, and efficiently improving fitness. If doing a solid stint of an exercise routine bores you tears, follow this strategy to keep you motivated. Strategy: Combine short bursts of high-intensity exercise with slightly longer periods of active recovery. The tactic here is continuously raising and lowering your heart rate. According to cardiologists this strategy improves vascular function and endurance; burns calories, boosts and makes your body proficient at clearing fat and sugar from the blood. This type of training will not only keep you motivated to exercise, it will improve your muscular strength, endurance and heart health. (i) So if you’re a walker, consider doing alternate 3 minutes at normal speed with 1 minute at a brisk pace. (ii) Another option is for every 3 minutes of cardio, do 1strength training exercise or a high-intensity burst of cardio for 1 minute. (i) Select 5 to 10 strength training exercises. Perform 1 set of each, doing lower weight and higher repetitions while moving quickly from one exercise to the next to keep your heart rate up. Do physical activities or sports that involve more muscles. They make your heart work harder to fuel them, so it grows stronger. Examples are rowing, swimming, cross-country skiing, walking with poles – they all engage muscles throughout the body without beating it up. Bonus Tip: Mix in some interval-exercises and what you have is the ultimate workout for heart. This is just another form of interval training. According to one Harvard study, weight-training more than 30 minutes per week can decrease heart disease risk by 23 percent. Weight training raises your heart rate during reps and recovers between sets. It increases lean muscle tissues and decreases fat tissues in your body. Strong muscles in turn manage and ease the overall burden on your heart. Other heart related benefits of weight training are that it helps lower high blood pressure, improve cholesterol levels and control blood sugar levels as well. Bonus Tip: Use free weights as they recruit more muscles, engage your core, and improve your balance. I prefer doing Pilates exercises to strengthen my core. Although, they do not directly boost my heart health but they strengthen my core muscles, improve my flexibility and balance. They not only help me exercise energetically but also help me in maintaining strong foundation, which help me carry groceries upstairs, walk up the mountains and live independently. In order to improve your heart health, you don’t necessarily have to be doing a high level of physical activity – if your medical conditions or health doesn’t allow. Pushing heart rate up and down quickly can be hazardous in case of those who are out of shape (heart attacks that occur while shoveling snow is an example of this). For such people yoga is recommended. It provides calm, which help lower blood pressure, improve blood vessels elasticity and heart health. Exercises are no doubt great for your heart health. But if you sit down for most of the rest of your day, that’s bad for your heart. People who are active in little ways the entire day (cleaning, gardening, running errands) burn more calories and generally have healthy heart than those who exercise for 30 to 60 minutes and then sit at a computer for rest of the day. Tip: You need to be active all day long. Little bursts count. If you have a desk job, take a short walk every hour to boost your circulation. Beware! Running this way may strengthen your heart, bit it wears out your body. It also gives aches and pains, as you get old. Human bodies are not designed for long-term pounding. Talk to any one who has been running or jogging long distance for years, and they will tell you about the agony – such as worn out knees – they are suffering from in old age. Avoid any form of vigorous exercise, which you are not used to. First learn doing it in its proper form and talk to your doctor before you include it in your routine. Other heavy physical activities, which may look harmless to you but in fact they may do damage. This can range from shoveling snow to biking 20 miles on the first spring day. The excessive adrenaline that’s released can prompt a heart attack in those at risk. For the same reason, always warm before you exercise hard. The last advice: Never follow what you are told or read blindly. The experts may say swimming is the best exercise, but if you don’t enjoy it, then don’t torture yourself. Also listen to your body. If a particular workout give a discomfort to your body, don’t do it. Find something fun that you enjoy doing it. Your mood will get a boost as well and you are more likely to do it consistently.